Ever thought of a career that took you around the world? Do you think your education (or the lack of it) does not support your aspiration to see amazing destinations. How about working on a Cruise ship? A cruise not just serves the purpose of transporting you from point A to point B but also provides you with an all round experience of living life at sea. Restaurants, Bars, Casino, Clubs, Lounges, Rooms & Suites, Library, Swimming Pool, Gift shops, Spa, Gyms, et cetera – It’s a different world altogether but that at sea. Creating a memorable experience for travelers requires employees of all sorts. Stewards, Room service, Housekeeping, Bartenders, Performers, Entertainers, Magicians – You name it! It is a norm to tip employees on these luxurious cruise liners and that is exactly where most of the cruise employees earn their money. It’s not that your job profile will be that of a rocket scientist. Generally, the minimum qualification for a steward could be 10+2 in any stream. They encourage prior work experience in the hospitality industry. Other than stewards and depending on the designation you have applied for, your qualification further varies. You get to see some of the most exotic locations around the world, few of which may not be easily accessible otherwise. This again depends on your job profile. Room service, front desk and guest services desk are almost busy 24×7. 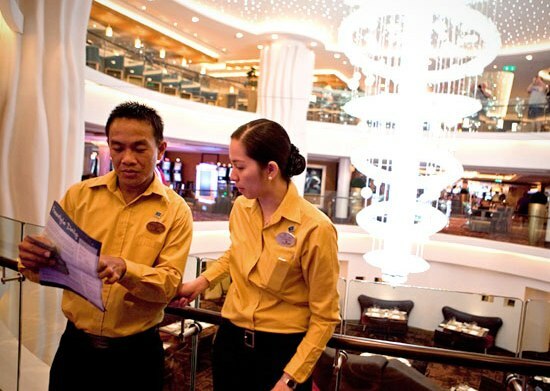 Job profiles like stewards or those working in the casinos only get busy while at sea. So when there is a lay over, chances are you will get some time to explore the external habitat. Although your salary is very low even according to western standards, you make most of your money from tips. And mind you, the tips can go up to 3 to 4 times higher than your actual salary. Most of the employees (specially stewards) come from third world countries and lesser developed nations like Philippines, Eastern Europe, India and Sri Lanka. The sum they earn in tips is fairly decent when converted in their home currency. You barely spend on personal expenditure as your food and accommodation at sea is taken care of. Besides, employees are given amenities like crew restaurants, recreation space, crew swimming pool, T.V viewing room, prayer rooms and sometimes even a crew deck. Depending upon your cruise liner, you may (or may not) be allowed to interact with passengers off duty. You need to be medically fit, always. So every time you go on a cruise, you need to have a medical check-up done. 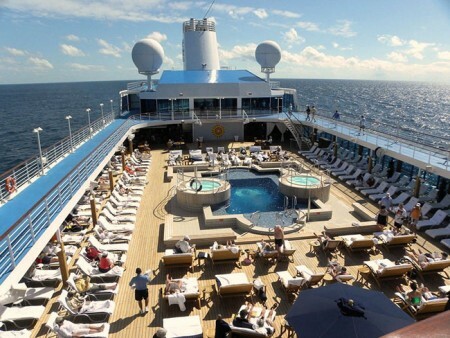 The deal with most cruises is a maximum 10 months work, 2 months off for a low level steward. 1 year contracts have been phased out in most cases. As you mature in experience and position, the duration of your work on the cruise reduces to 9 months or 6 months may be. Stewards, crew members and waiters may generally work 7 days a week with no holiday. The shift could be rotational and some cruise liners now provide compensation for over time. Entertainers and performers like Magicians may get some relief as they only perform at certain time of the day, but again they need to continuously practice which leaves little time to rest. Since tip is a voluntary expression of saying ‘Thanks’, you are generally dependent on the generosity of the travelers. Although most travelers are polite to speak, there are always a few who think they own the cruise and it is part of your job to deal with such travelers. Some cruise liners have adopted a new method of paying for its employee compensation by adding service charges to the travelers bill. This is adopted as few visitors don’t believe in tipping. However, the use of this method is not widespread as yet. Working on a cruise is not everyone’s cup of tea, especially if you get easily sea sick. For long, cruise ships have been synonymous with luxury. Passengers who take to cruises are generally wealthy individuals although the lines are now blurring. 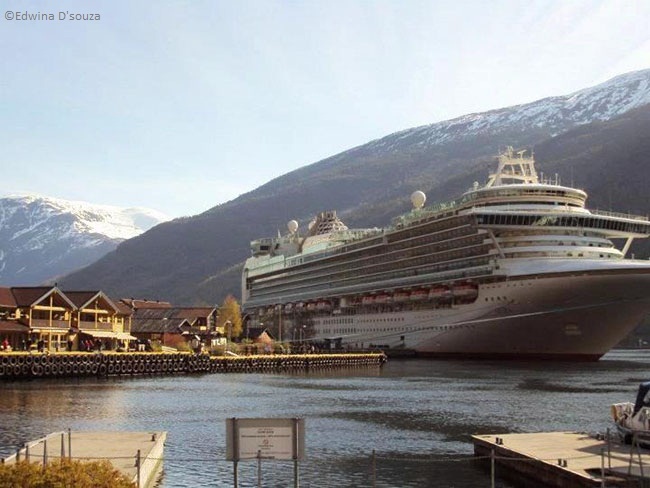 There is a flurry of cruise liners like P&O, Superstar Virgo, Libra and Royal Caribbean among others and they are all constantly competing to lure travelers. Also, the traveler of today has become experimental and does not mind spending a few extra bucks for a lifetime experience. These are all indications of good scope in the hospitality service industry on a cruise. Eventually, working on a cruise liner could be seen as a good way of earning for single adults who like to travel places. What you may take back home from the job is respect for money, interact with a cultural variety of passengers, save and explore the world; of course not without some Hard Work! Join me on Twitter and Facebook for more travel stories and photographs. I also make cool status updates, just in case you like randomness! Budget Travel, Careers, Cruise liner, Life, People, Solo travel, Travel, Work and Travel. Bookmark.